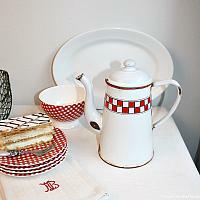 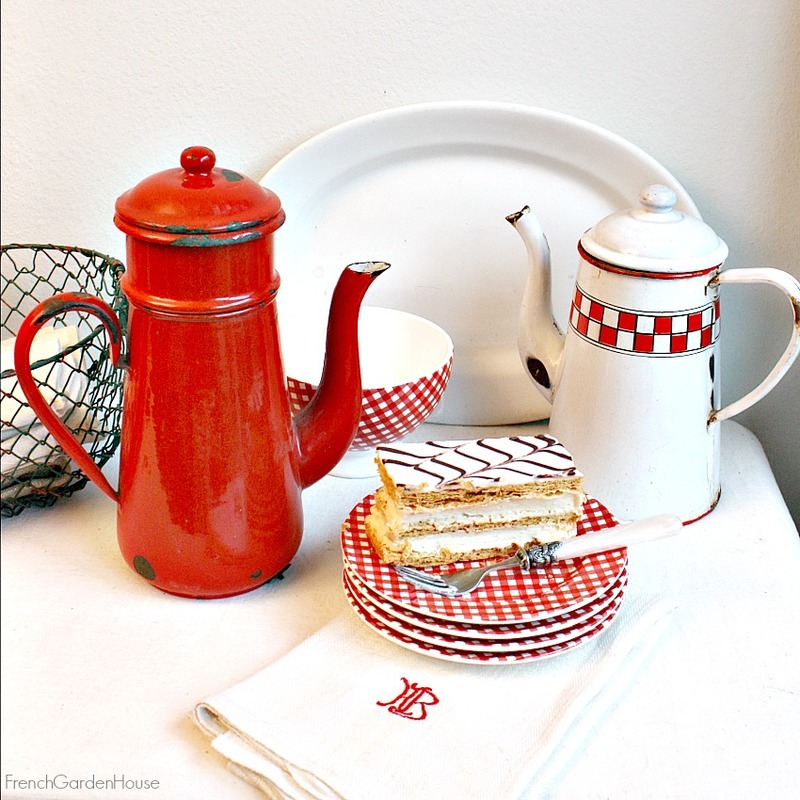 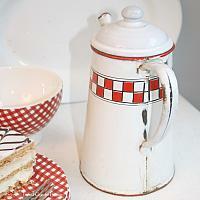 Authentic French Enamelware Coffee Pot in Red & White Checked design, bought in France. Used on the daily in France for cafe au lait at breakfast, coffee at 11:00 before lunch, and again after dinner. 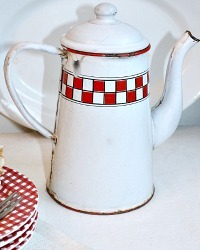 This pot has history, country charm, and decorative spirit. 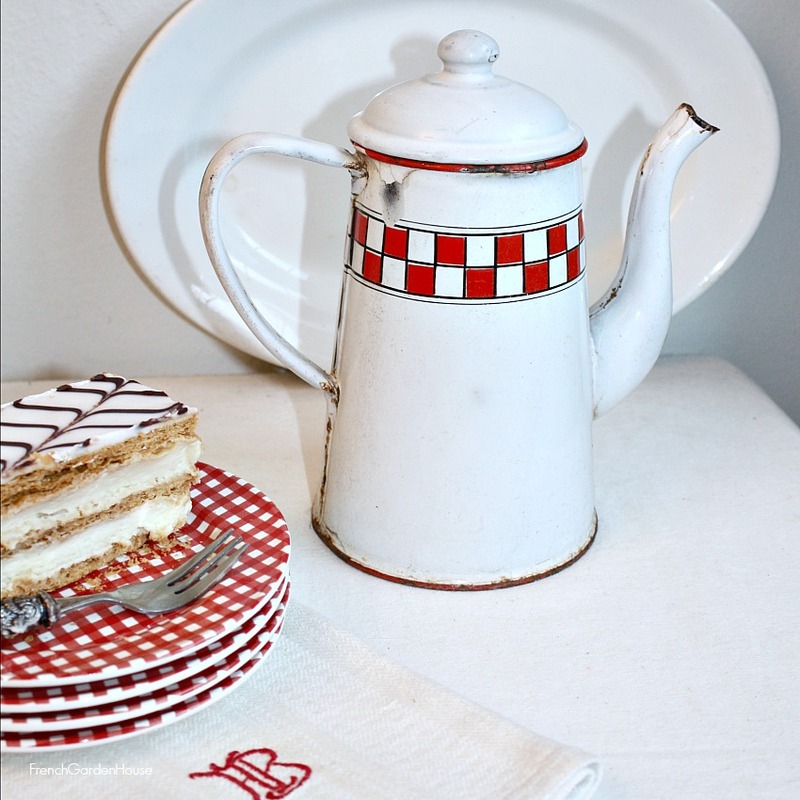 This French coffeepot is a wonderful addition to your French inspired décor, it does have shabby bits as shown - from all the times that Claudine dropped the pot while dreaming about Jules instead of paying attention. 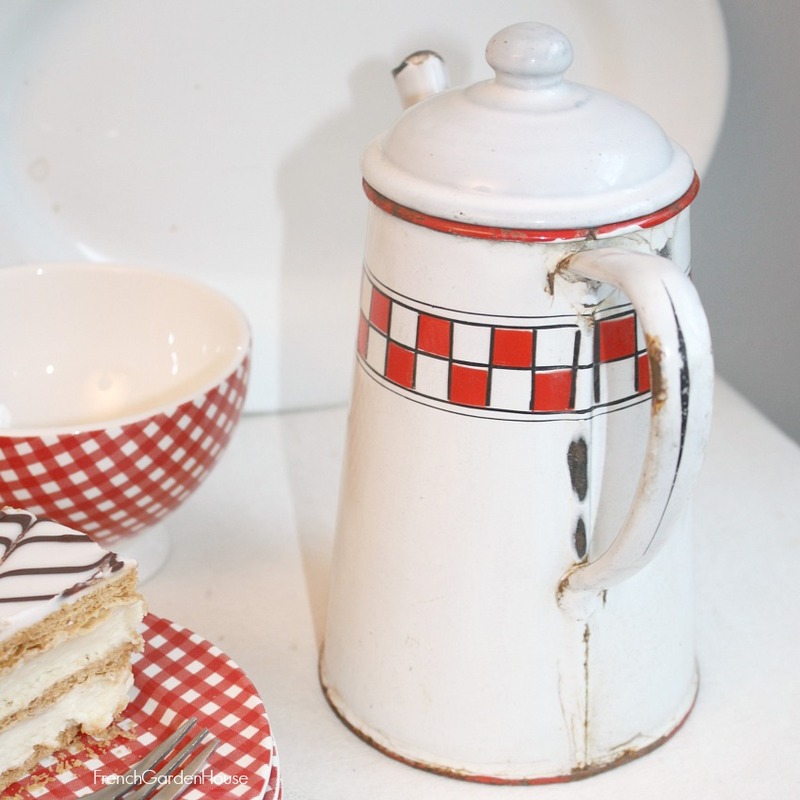 There is the normal wear you would expect from an original piece with this age,and chips to the enamel, so please only buy her if you can love the grace of time. 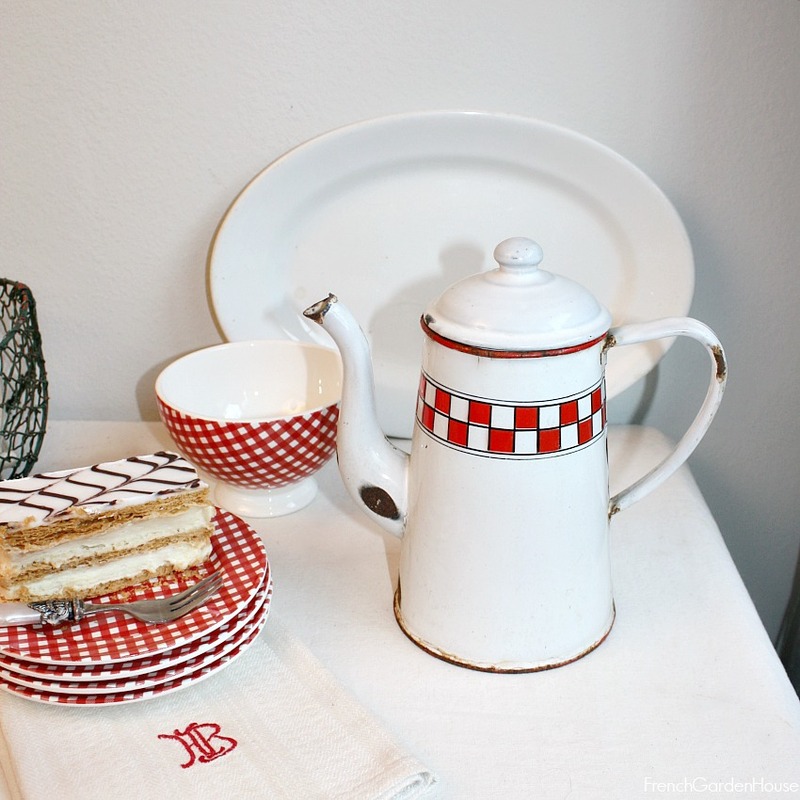 A country charming addition to your antique and vintage Enamelware Collection, or the beginning of one.